Happy Birthday. Did you know... in one year a man will spend over 8 weeks asleep on the sofa and still know the results to every sporting fixture, home and away. Amazing! Happy Birthday. 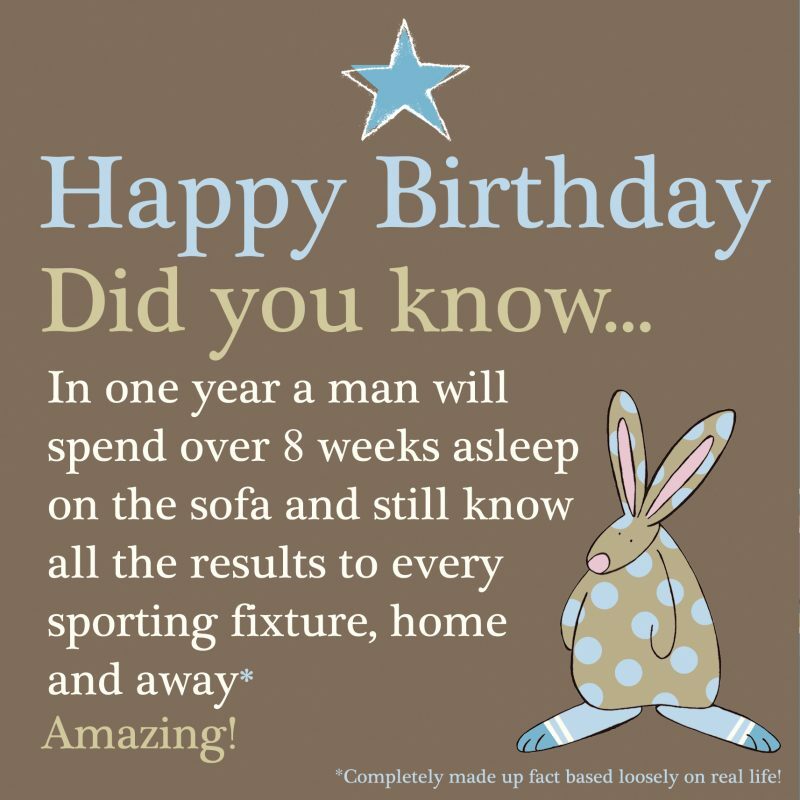 Did you know… in one year a man will spend over 8 weeks asleep on the sofa and still know the results to every sporting fixture, home and away. Amazing!